The self implicating chorus paired with the depth of longing in Kelcey Ayer's voice were more than enough to leave the essence of the song, Colombia, lingering somewhere deep in my chest. 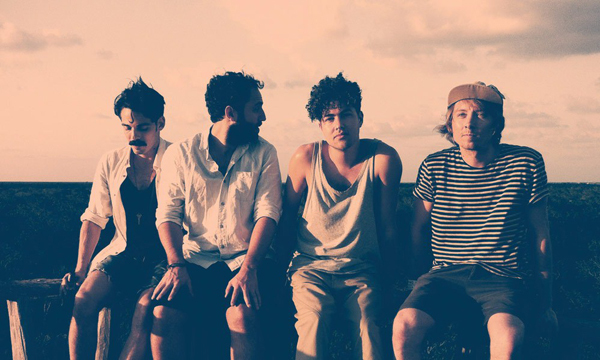 Ayer, of Local Natives, wrote Colombia for his mother, Patricia, who passed in 2012. The words and the place they're coming from are so much deeper than the superficial realm we tend to allow ourselves to reside. To me, this song strips us of our superficiality, our false ideas of what's important, and drives us to the heart of life. How much are we really giving in each moment? How much are we really loving? Death allows us to love much deeper and give much more than we imagined was possible. I want to give more and love more in every moment of my life. I don't want to wait for death to remind me. The day after I had counted down all of your breaths down until there were none, were none, were none, were none; A hummingbird crashed right in front of me and I understood all you did for us. You gave, and gave, and gave, and gave. Ohhh, every night I ask myself Am I giving enough? Am I giving enough? Am I giving enough? Am I? If you never knew how much, If you never felt all of my love. I pray now you do, you do, you do, you do. Ohhh, every night I ask myself Am I loving enough? Am I loving enough? Am I loving enough? Am I? Patricia, every night I ask myself Am I giving enough? Am I giving enough? Am I giving enough? Am I? Patricia, every night I ask myself Am I loving enough? Am I loving enough? Am I loving enough? Am I?